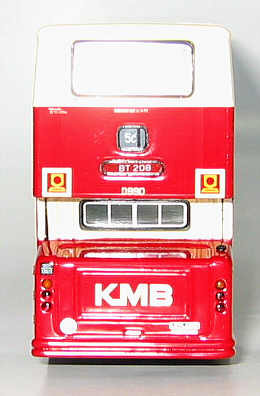 The model - first announced on this site at the end of May, this model was released in Hong Kong on 6th July 2005. 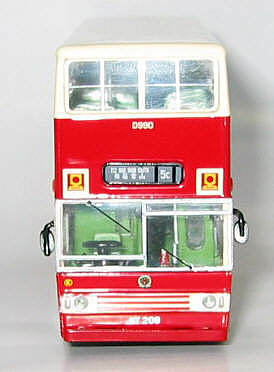 It features fleet number D990 in it's original livery. 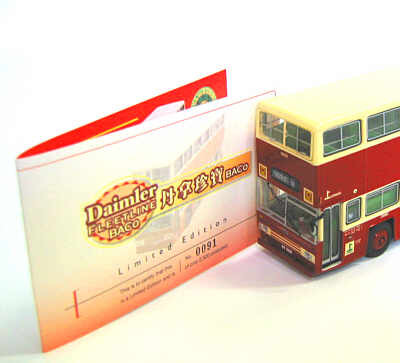 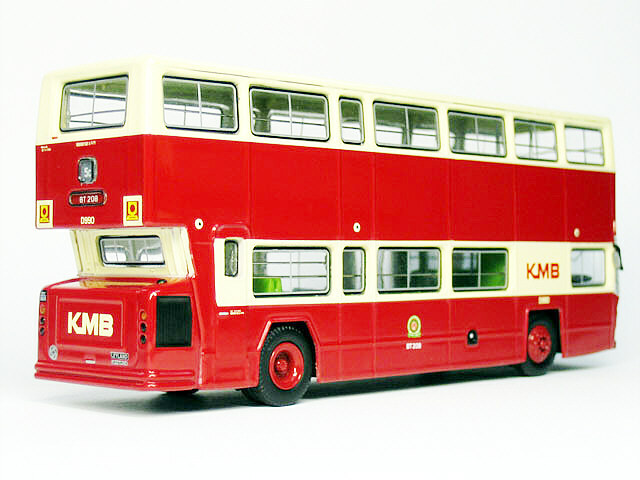 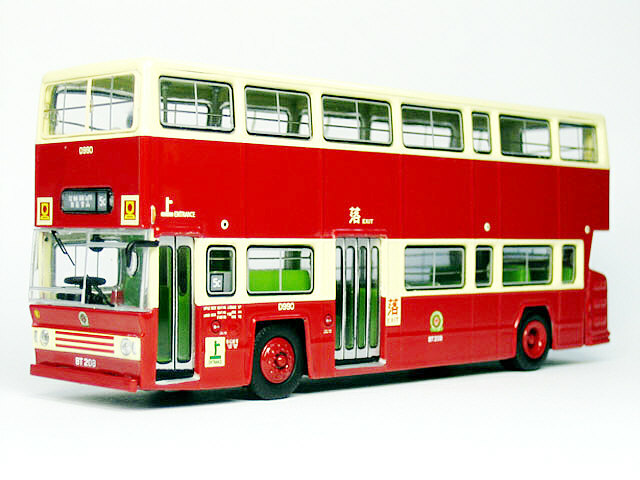 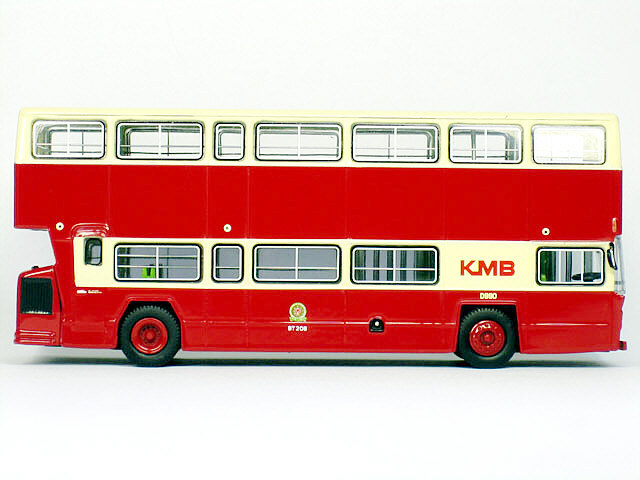 The bus - KMB's third and final order for Daimler (Leyland) Fleetlines (150 buses) differed from the previous two orders, in that British Aluminium Company (BACo) bodywork was specified. 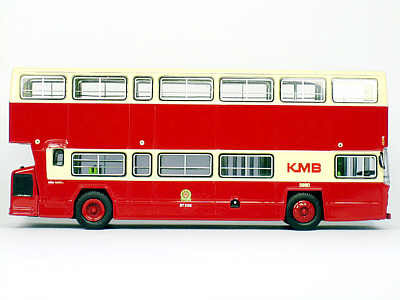 The BACo bodywork was certainly very different from any other body type, being of a very angular design. This angular design was even applied to the wheelarches! A predominantly red livery was applied from new which tended to improve the appearance of the design. 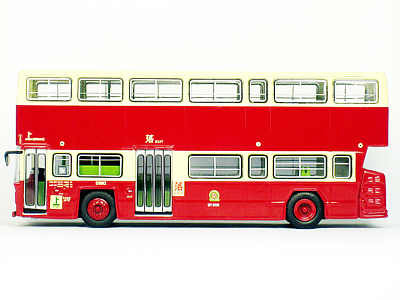 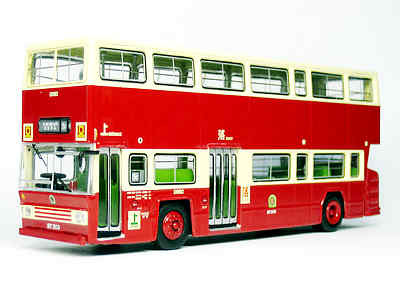 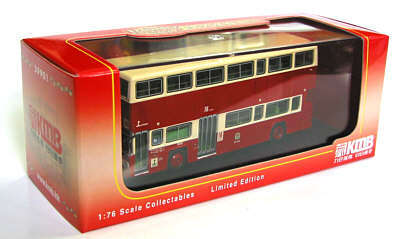 One feature akin to the latest low floor buses was the use of a straight staircase. 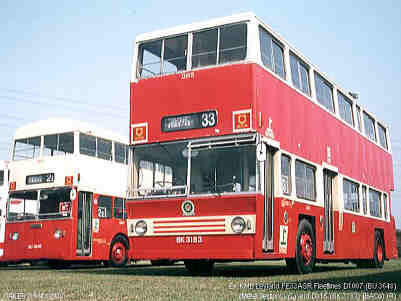 D990 entered service in March 1978 and was withdrawn in December 1991.